Left, Trump lawyer Ty Cobb photographed with client former Commerce Department official John Huang testifying before the House Governmental Reform Committee in 1999; Right, Trump layer John Dowd photographed with representing Raj Rajaratnam, the convicted Galleon Group LLC hedge fund manager in 2011. Left, by Karin Cooper/Liaison Agency; Right, by Jim Lee/Bloomberg/Getty Images. 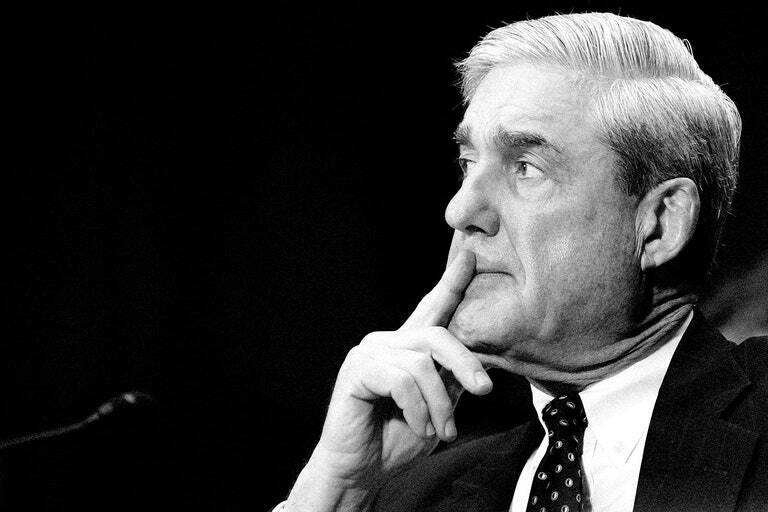 With the president’s allies on Fox News already eroding faith in the Department of Justice to run an unbiased investigation, stonewalling Mueller may, in fact, be the smarter move. “In my own view, in President Trump’s case, people have seemed to have made up their minds about him,” Bennett mused. “His supporters would say, ‘Well, why should he? Everybody knows that the special counsel is out to get him.’ Those who are opposed to Mr. Trump will say, ‘See, he’s hiding something.’” Until control of one or both houses of Congress changes hands, the needle in Washington is unmoved. Some in Trumpworld have questioned why Mueller needs to speak with Trump at all, given the White House’s cooperation with the probe and the dozens of interviews the special prosecutor has already conducted with Trump associates. Mueller “has all of the notes and memos of the thoughts and actions of this president on all subjects he requested in real time without reservation or qualification, including testimony from his most intimate staff and eight lawyers from the White House Counsel’s office. Any question for the president is answered in these materials and testimony,” a member of the Trump legal team told the Journal.